Lisa Marie brings a total of 23 years of IT channel experience, including distribution, distribution account management, partner account management, channel marketing, and SMB go-to-market strategy for cloud services. She is currently responsible for the Rittal Data Center Infrastructure partner development strategy, alliance relationships, and the creation and launch of the very first Rittal US partner program. Prior to joining Rittal in May 2016, Lisa spent a total of 9 years with Cisco and 5 years at Xerox Corporation in a start-up organization helping develop and launch their managed print services offering for the SMB MSP channel. Lisa also initiated and managed the Cisco SMB relationship with ConnectWise and Heartland Technology Peer Groups. 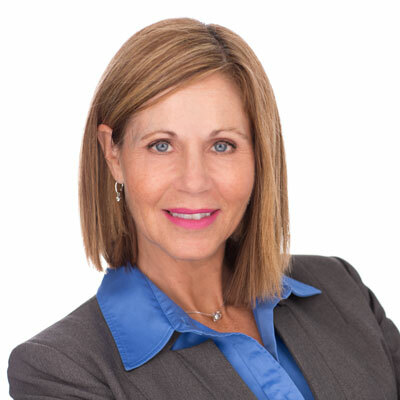 In addition to Lisa's IT channel expertise, she is a published author, speaker, training facilitator, and executive coach - all focused on empowering women. During 2017, my focus was on understanding the growing market of hyper-scale, collocation, enterprise, and edge data centers to determine the best way to address our competition, market gaps, and create a new go-to-market strategy with the unique Rittal data center infrastructure offerings. I have created and launched the very first Rittal Data Center Solutions Channel Partner Program, Partner Portal and Product Portfolio to address the growing data center market. In addition, I have built a new channel sales team with 6 channel sales representatives. Rittal Data Center Solutions - Network & Server Enclosures, Power Distribution, and Climate Control - has been the world leader in enclosures for many years through our IT OEM partners, but we are now positioned to scale through solution providers with our Rittal branded products. Since November 2017, we have recruited and on boarded 30 new channel partners and 90% of all business is driven thru these solution providers. My goal is for my team to recruit and develop an additional 30+ solution providers by having them add Rittal data center infrastructure to their services portfolio. In addition, we will be creating a collocation partner program and develop partner marketing programs. Finally, we will be adding a two-tier distributor to our channel model to allow for efficiency and expansion with our channel partners. I was selected as the US ambassador for Behind Closed Doors, an Australian based professional women's mentoring, coaching and peer group organization. http://bit.ly/2A6vwCG I am regular guest speaker each semester at Rider University to a graduate level student coaching course. Arianna Huffington She is extremely accomplished and powerful, yet she truly cares about people and is very authentic, transparent and approachable. The wisdom she shares, especially with professional women is invaluable to the world. What you think and believe, is what you create in your life. Change all negative self-talk to kindness, encouragement and compassion - be your own best friend. You are as worthy as anyone else. Learning to ask more questions of others in any situation, whether is is with customers, partners, senior leadership, or cross-functional teams. When I have an objective or desired outcome in mind, I want to ask questions of all individuals involved to plant seeds, instead of "telling" in order to create positive change. "Leaders Eat Last" by Simon Sinek He is a true thought leader when it comes to addressing the greatly needed change of our leadership styles today. His message is that truly human leadership, from the heart and understanding that everyone matters is how we shift to new levels of success, fulfillment and happiness.